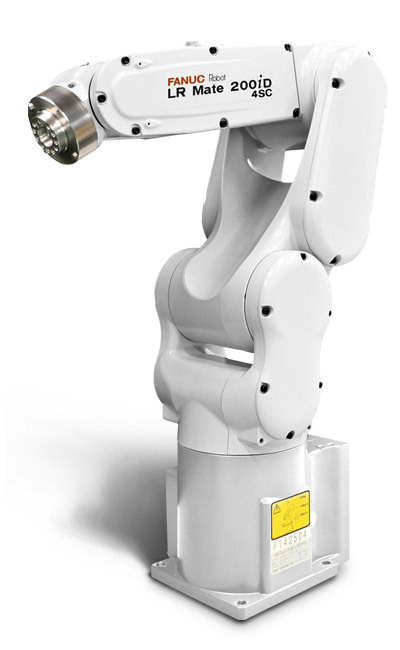 This versatile 6 axis short arm mini robot has a 4 kg payload. Easy to integrate into confined spaces, it has been designed specifically for high-speed pick, place and assembly applications in clean room and food environments. Like other LR Mate robots, it is available with a range of options including integrated intelligent vision & force functionality. 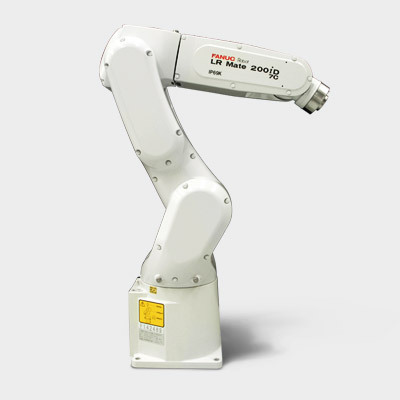 Especially made for clean room applications, this model featuring clean room class 10 is your highly productive solution for smaller payloads and envelopes up to 550 mm. At only 20 kg this model can be installed anywhere. Powerful servo motors giving high acceleration and short cycle times thus improving your productivity. Including intelligent iRvision (integrated vision) and force sensing. With IP67 protection as standard, the LR Mate range is the perfect solution for wet or dusty environments. Need a longer reach and higher payloads? 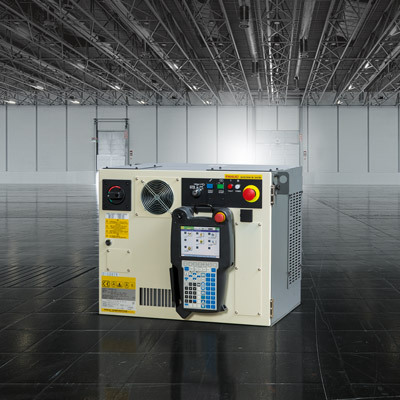 Check out other LR Mate clean room models, like the 200iD/7C or 200iD/7LC with reaches and payload capacities from 717 mm and 7 kg respectively. 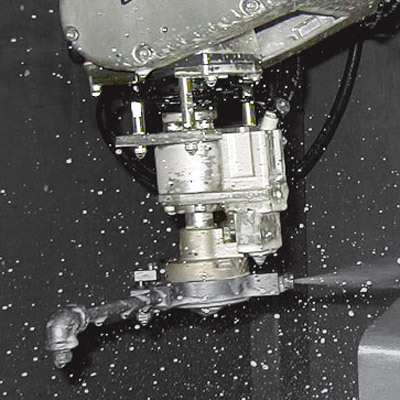 Benefit from time savings and safer operations.